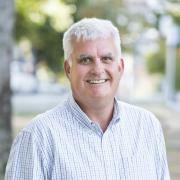 Will Charles has been Executive Director Commercialisation since 2005. During this time UniServices has transacted over 300 licensing deals, started 50 companies and raised over $150 million in venture and seed funding for these companies, and has successfully exited a number of these. He is also the manager for the University of Auckland Inventors Fund, a $20m evergreen fund dedicated to start ups generated by staff and students at the University of Auckland. He set up the TransTasman Commercialisation Fund, a A$30 million seed fund with four Australian Universities and sat on the Investment Committee of the fund. He is a director of a number of start-up companies. He set up and is responsible for the direction of Return on Science which is part of the Ministry of Business, Innovation and Economic Development’s Commercialisation Partner Network. Most recently he founded Momentum, a unique student led investment and start-up funding process that allocates the University of Auckland Inventors Fund to student ventures. He has been a speaker at a number of international Technology Transfer events including the Association of Technology Managers in the US (AUTM) and BioEurope. Previously, Will has had extensive senior commercial experience in businesses in Europe, Asia and New Zealand where he held executive positions at a number of companies including Novartis, GlaxoSmithKline, Roche, Celltech and Wolters Kluwer.